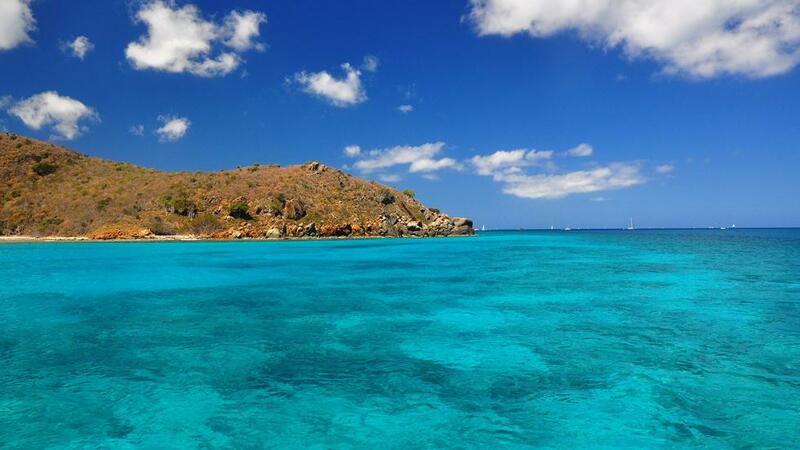 The bluest water can give you a feeling a calm and cleansing, that can’t be achieved on the driest of land. For passionate travelers who choose to explore not just the depths of the ocean, but its hues, shades, and crystallized surface, it’s important to know where you can find the most hypnotizing waters in the world. The 4 corners of the globe offer an array of scenery that comes equipped with native marine life, liquid characteristics, and the most grandiose landscapes you couldn’t imagine on your own. The 7 greatest destinations where you can find the clearest water in a crystal shade of blue, have been discovered and are waiting to be explored. 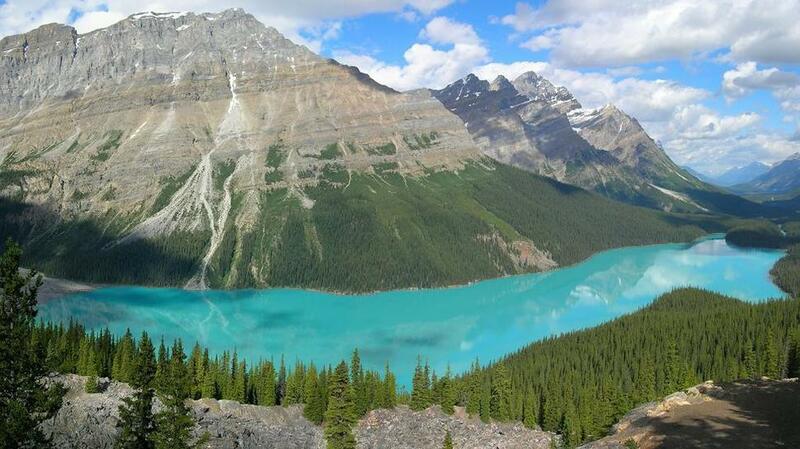 Peyto Lake is a glacier-fed body of water in Canada, which would explain its icy charm and thick texture. The lake is most charming in the summertime, when blocks of ice flow into the body of water and give it a luminous, turquoise color that many photographers take advantage of during their travels. The color of Peyto Lake is different from anything you’ve seen while vacationing on a tropical island or on the most exotic beach; it has a rough, rugged exterior that glows underneath the daylight sky. It’s an easily accessed spot, therefore, it would be a shame for any water enthusiast to miss out on the glory it radiates. 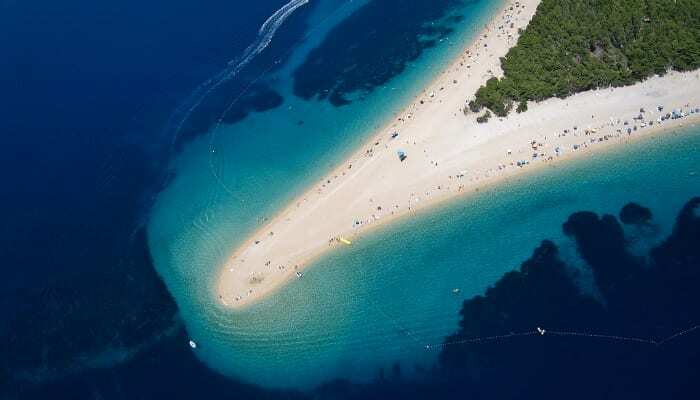 Nicknamed the “beach of paradise,” the island of Brac in Croatia has a reputation of boasting the finest and most tropical scenery in the European region. The coastline of island chain lays along the Adriatic Sea and Brac serves as the prime example as the greatest beauty it can behold within one body of water; the Azure Waters. The Azure can be found in this Midevial Meditareannean island and is the #1 spot for sailing enthusiasts looking to take a break from the Adriatic depths and wish to dive into the shallow lagoon. From a bird’s eye view, the water is a deep blue with the internal core of a sea foam green. However, step into the Azure lagoon and you’ll be able to see your littlest toe from above the water’s surface. Lake Pukaki and its beautiful mountain scenery may look familiar to any Hobbit fans out there. Filming for the prequel trilogy took place at the New Zealand, particularly as the set of Lake-Town and the destruction of Smaug. From looking at the picture, it’s easy to see why Peter Jackson would use the lake as a filming location. The water is robin’s egg blue and looks as if it can barely be disturbed. 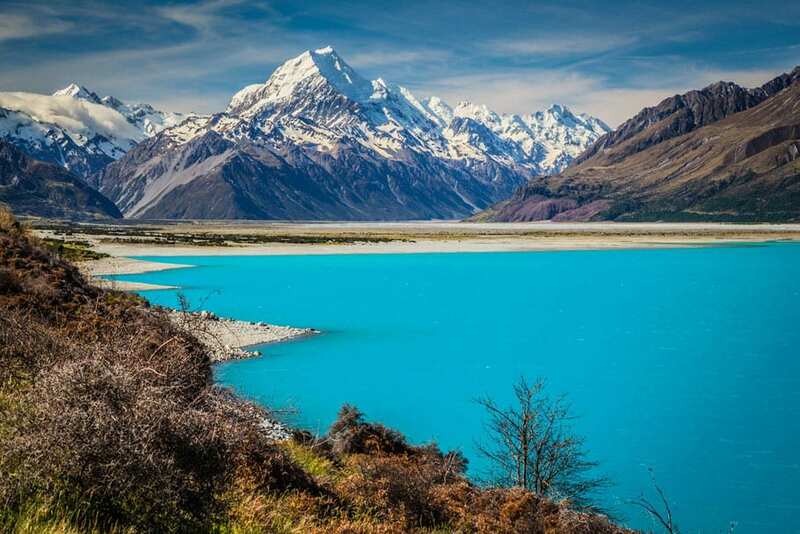 Lake Pukaki is the ideal getaway for hikers and campers who wish to basque in the beauty of the still, stunning water. 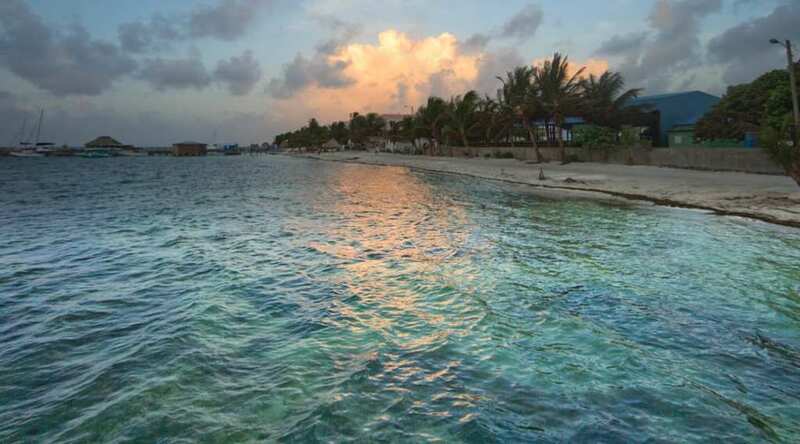 Ambergris Caye is the largest island in the nation of Belize and sits in the Northeast corner of the Caribbean Sea. The Caye mostly caters to those interested in water sports such as scuba diving, snorkeling, kayaking, sailing, deep sea and reef exploration. One of the most popular dive sites here is the Hol Chan Marine Reserve, where you’re given the opportunity to mingle with the wildlife. Off the coast of the Ambergris Caye you can find a 124 meter deep Great Blue Hole, that serves as the centerpiece of water spot’s main appeal. If you prefer to sit back and take in the scenery, make no hesitations to schedule a trip now. The white sand long coastline is a prime place for lounging and getting some good r&r. 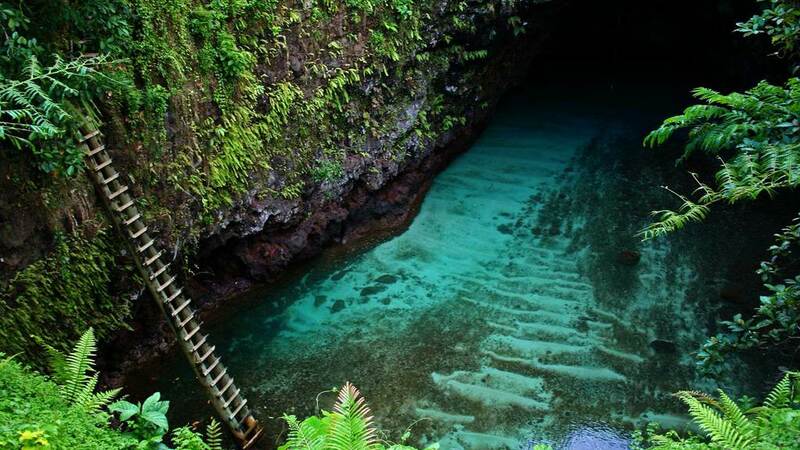 The To Sua Ocean Trench can be found in the Lotofoga Village of exotic Samoa. The water’s surface of the trench sits 30 meters above a hole, easily reached by divers and tourists who wish to explore the aquamarine scenery. What makes the Sua Ocean Trench so unique are the Eden-type gardens that surround the watery pit and a winding, cliff-side path that visitors can trail down. Taking a trip to the “big hole” trench is never a waste of time; in fact, for any South Pacific enthusiast, it should be the #1 destination on your bucket list. The route to the swimming trench is quite the adventure on its own. You need to enter the Western side of the trench and stroll through a rocky, enclosed cave that will lead you to a ladder plunging into the depths of the natural salt water. 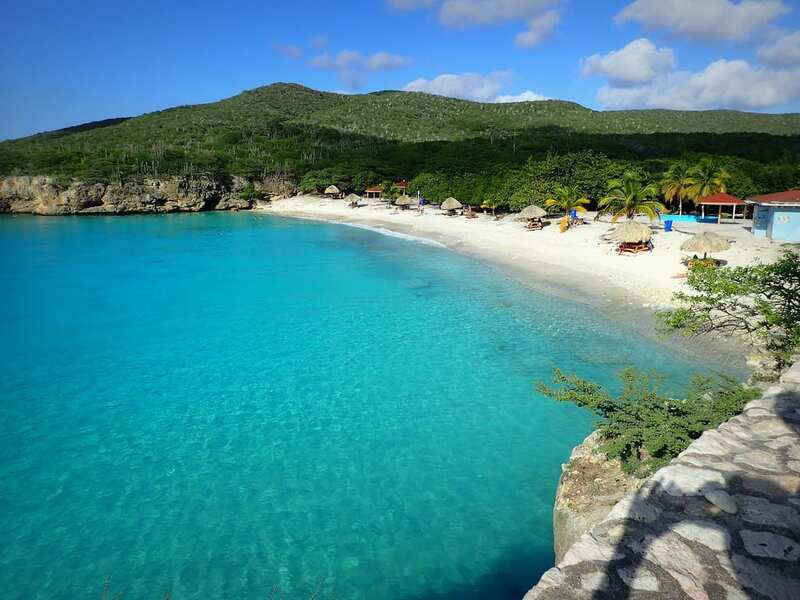 Knip Beach, located on the island of Curacao, has the most transparent shade of blue waters that contrast the land’s greenery implicitly. If you travel for the opportunity to meet different walks of wildlife, then this is the destination you need to get to. The iguanas and fish are unique breeds to the island, and the water is ideal both leisure and diving excursions. The cliffs are fairly rocky but if you’re a diver, you’ll have the time of your life jumping off of them and into the turquoise, Caribbean Sea. In the British Virgin Islands, which happens to be one of the most popular tourist attractions in the world, you can experiene the most mezmering qualities of any ocean’s body. Virgin Gorda is the third largest island in the tropical region and is called the “Fat Virgin” because of the landscape’s oddly shape from an above sighting. This is island to travel to if your goal is to find a peaceful place to think, reflect, and enjoy the quiet. The blue waters surround the British Virgin Island and its collection of nature sanctuaries, hiking trails, and serene beaches. You’ve never experienced the Atlantic Ocean like this before – clean and in its natural state.